It’s the best daily briefing in webcomics. 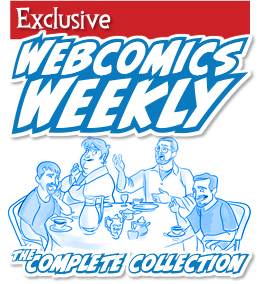 If you’ve ever been curious about subscribing to Webcomics.com, this post is for you. Here’s a wrap-up that highlights some of the best posts from last month. Shipping comics as Media Mail: There’s some widespread misinformation floating around about shipping comics Media Mail. If you don’t understand this issue, you could be paying waaaaay too much to ship your comics to customers. 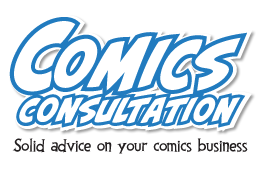 “How do I get more readers?”: It’s the most commonly asked question in webcomics. And it inevitably leads you down the wrong path. Here’s how to get back on track. Google attacks aggressive ads: The news was dominated this month by aggressive advertising. We started September sharing Google’s plans to thwart aggressive ads, along with analysis of what this means to Web publishers. MacKeeper class-action lawsuit: If you installed MacKeeper, you may be due some money in a class-action lawsuit. We tell you how you can submit your claim. Comic Easel improves mobile experience; We give you the low-down on this recent improvement, and how to implement it. Square introduces direct deposit: This will be a neat trick to know if you need fast cash at a comic convention. Is the school-year bump gone? Once upon a time, webcartoonists counted on a traffic bump as schools and colleges starts classes in September. with mobile-reading on the rise, has the start-of-school surge become a thing of the past? What am I — chopped liver? Correctly punctuating the “self-answering question” will help your readers process the tone and intent of your writing better. Coloring vs black-and-white: Does it really make a difference? More word-usage tips: Another in a series of posts discussing the correct use of common words and phrases. Portable book stands: An invaluable pro-tip on cheap, lightweight, recyclable convention displays. Selling on consignment: Is it really risk free? Hitch-It / Ditch it critique series: We identify one thing that participants could stand to improve — as well as one of their key strengths. NYCC to crack down on sellers of unlicenced prints? As Webcomics.com has been warning since 2011, companies like Marvel and DC are moving closer and closer to stopping the sales of unlicenced princt that feature their properties. We discuss the recent rumors and analyze the ramifications of an actual crackdown. Patreon security breach: We were among the first to sound the alert on Patreon’s massive security breach, advising members to change their passwords immediately. EMV liability and Michigan’s sales tax deadlines: Oct. 1 was the deadline for two important changes in legislation that affects webcartoonists. One applies to accepting credit-card payments through cards that feature an AMV chip, and the other one applies to online sales to Michigan residents. Webcomics.com made sure its members understood both issues fully. WACOM warning: possible conflict with new Mac OS: We were also among the first to alert members of the conflict between WACOM drivers and the new Mac OS. 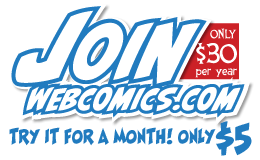 If you’re curious about joining, we’ve made it easier than ever with a $5 trial membership. You’ll get full access to the site for thirty days so you can see what you’ve been missing. At the end of the trial, you can choose to re-subscribe ($30 for 12 months of access) or walk away with no strings attached. You will not be re-billed unless you choose to subscribe. Please note: The links below will lead you to content that is “subscription-only” content. Why do I do this? Simple. If you see something that intrigues you and decide to subscribe, you can come back here and use this post to jump right to the post that caught your attention. And once you do that, use the other Best Of posts to drill even deeper into the site!